These polypropylene histology buckets are conveniently packed in case quantities and each bucket features a carrying handle and snap-on lid. The lid secures tightly to the bucket to reduce odor. 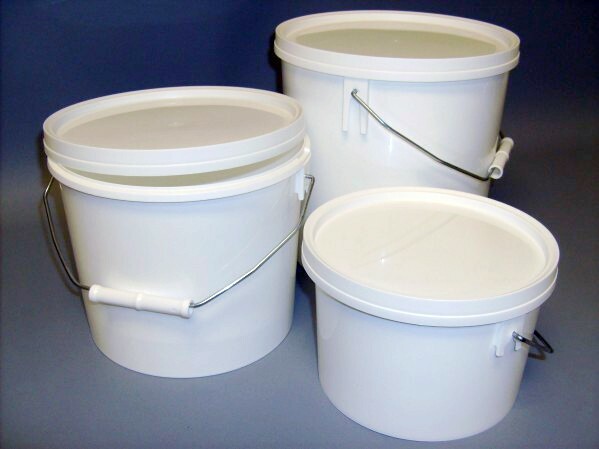 The buckets are autoclavable, easy to stack and are resistant to cracking when exposed to common cytology and histology based chemicals such as formaldehyde. 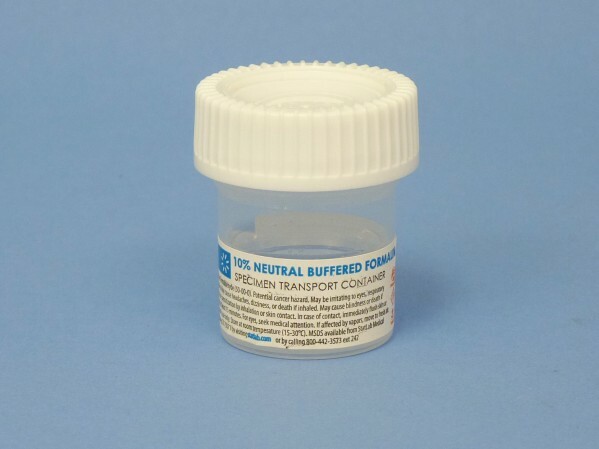 10% Neutral buffered formalin has become the standard fixative for use in a diagnostic setting. Containers are prefilled with ready-to-use buffered formalin, 7.0 pH. 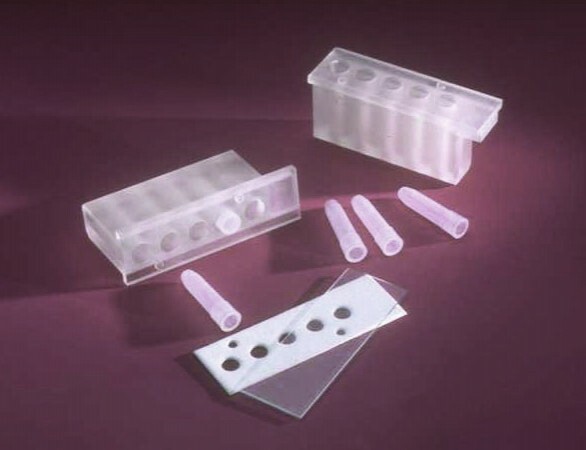 TestFive™ Microscope Slide Cell-Preparation System consists of a Five-Hole Acrylic Cuvette with Filter Card registration pins, a Five-Hole Filter Card made of 100% cotton and cellulose fibers, 5 disposable 0.65 mL polypropylene MicroTubes™, and a microscope slide. All components are held together by a spring-loaded stainless steel clip, supplied by Shandon, providing the safety of a completely closed system. Combined unit is designed specifically for use in the Shandon CytoSpin® centrifuge. System simplifies slide preparation for cytology, hematology, oncology, microbiology, or other research applications, while providing an economical alternative to Shandon’s disposable sample chambers. CytoSpin® is a registered trademark of Thermo Electron. 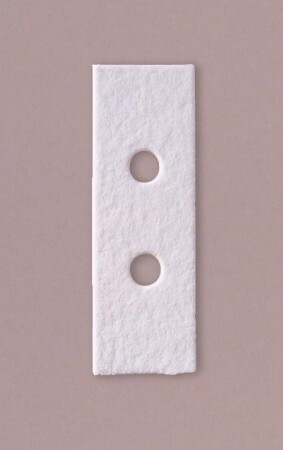 White Filter Cards are made from a blend of 100% cotton and cellulosic fibers. This thick material acts as absorbent padding for the collection of excess reagents or wash solution with sample volumes up to 0.5 mL. Cellulosic fibers add strength and durability to the Filter Card during centrifugation. An economical replacement for Shandon Cytospin® two-hole filter cards. Not for use with TestFive™ Cuvette System. This container offers secure transport featuring the StatClick cap. The cap “clicks” into place, ensuring that the leak-proof seal is activated. The cap can withstand positive and negative pressure differentials while its rounded knurls offer an easy-to-grip surface for users. The durable plastic containers have a 0% leak rate in accordance with DOT and IATA testing performed. 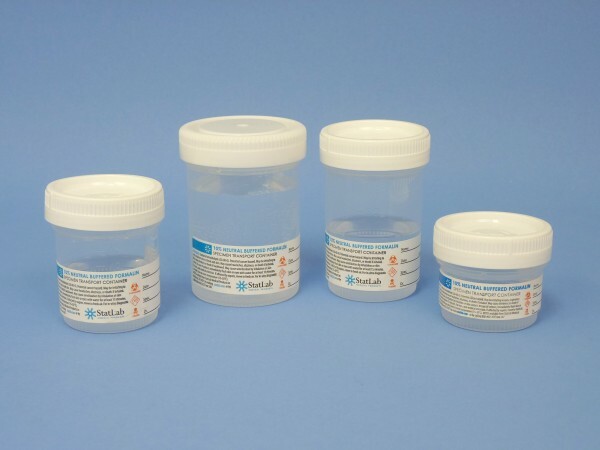 10% Neutral buffered formalin has become the standard fixative for use in a diagnostic setting. Containers are prefilled with ready-to-use buffered formalin, 7.0 pH.